The good news: many bird species are migrating south and making the Jersey Shore their temporary home in the process. One of those species is the snowy owl, an elusive, majestic creature that draws birders, photographers and members of the public to Island Beach State Park in hopes of spotting one. The bad news: in the quest to catch a glimpse of wildlife, some people have been harming the very dune system that acts as the cradle of life at the park, plus protects the wider ocean and bay ecosystem from coastal storms. In recent weeks, photos of people traipsing through the dunes and leaving refuse behind have been posted in social media groups dedicated to the park and protecting its environment. 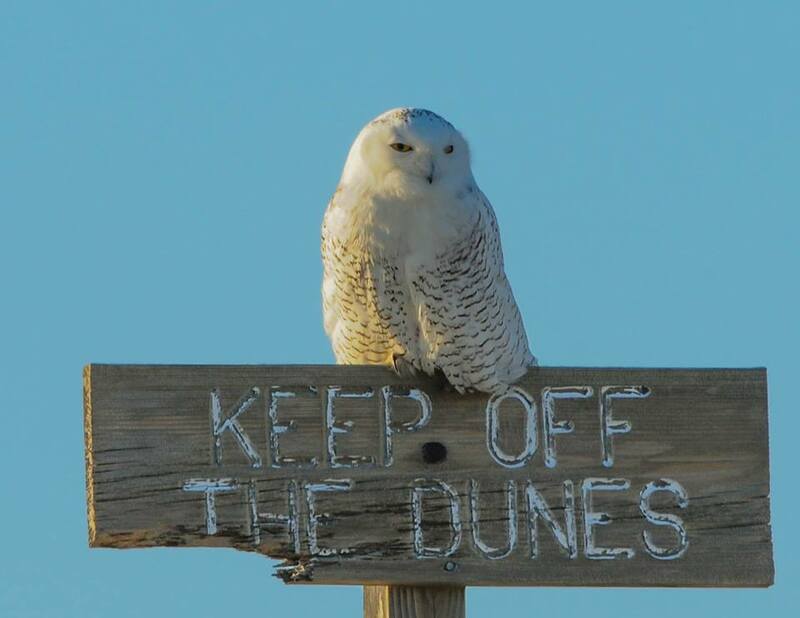 Over the weekend, Ray Bukowski, Island Beach State Park’s manager, put out a message asking park visitors to respect the dunes and keep off of them. Park visitors are being encouraged to spread the word to others. Additionally, the park is planning to step up enforcement of the rules. Dune management “is a painstaking process supported by thousands of volunteer hours and donations of vegetation and fencing provided by many supporting organizations particularly the New Jersey Beach Buggy Association and the Friends of Island Beach State Park,” Bukowski wrote.